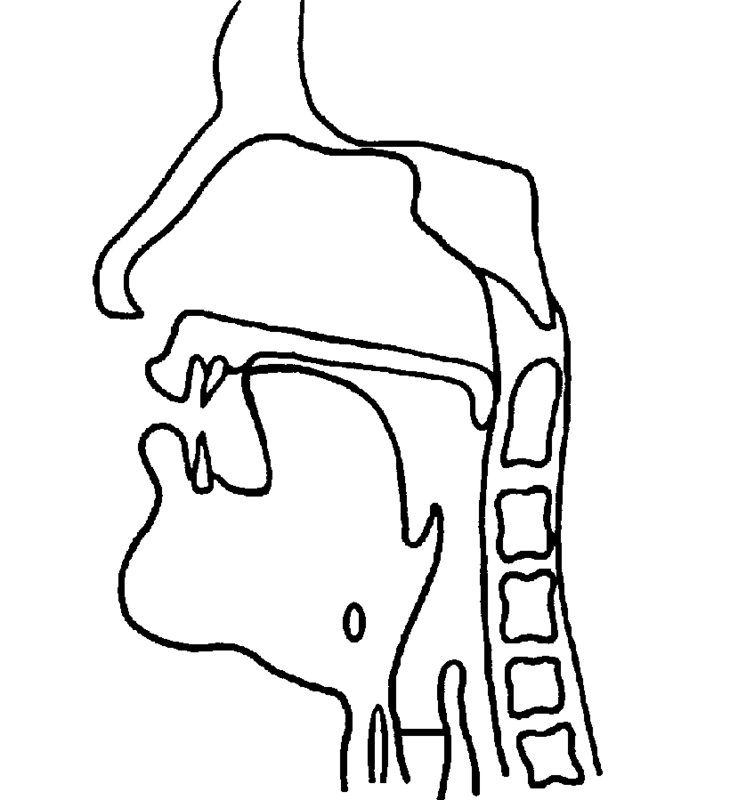 All of the consonant sounds described so far are produced with either a complete obstruction of the airflow (plosives and nasals) or a narrowing of the mouth passage (fricatives). One pair of consonants, however, is produced by a combination of these two methods. This is the affricates. The voiceless affricate /ʧ/ is articulated first by the tongue tip contacting the alveolar ridge, as if to produce the voiceless plosive /t/. Then, instead of the air being released with a sudden explosive force, it is released with friction as the tongue moves backwards in the mouth behind the alveolar ridge, as if to produce the voiceless post-alveolar fricative /ʃ/. This gives us the two-part sound /ʧ/. It is now possible to understand why the phonemic symbol for the voiceless post-alveolar affricate is written as /ʧ/. It is, of course, constructed from the two symbols that represent the two sounds that make up the consonant, i.e. /t/ + /ʃ/ = /ʧ/. Whilst it is possible to describe an affricate as a two-part sound it is not heard as such. The speed of movement of the articulators is so great that it is heard as just one sound. Consequently, it is considered to be a single consonant. The voiced counterpart affricate /ʤ/ is assembled in a parallel way. The only difference this time, of course, is that the vocal folds are vibrating. In summary, the tongue rises as if to produce the voiced alveolar plosive /d/. Then, rather than an explosive release of air, friction is created as the tongue moves backwards towards the palate, as if to produce the voiced post-alveolar fricative /ʒ/. The rapidity of these movements creates the single-sound voiced post-alveolar affricate, i.e. /d/ + /ʒ/ = /ʤ/. It should be apparent from the foregone descriptions that affricates, being constructed from plosives and fricatives, are oral sounds and that they are produced with a raised soft palate. 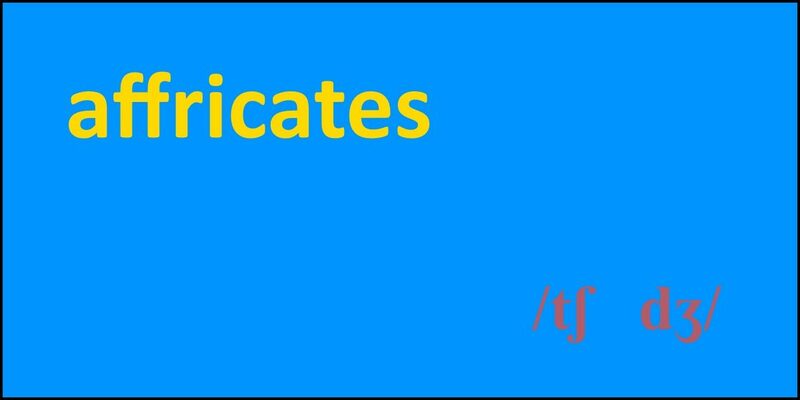 The voiceless affricate /ʧ/ usually arises at around the same time as the emergence of the voiceless post-alveolar fricative /ʃ/, i.e. around 3;06 years. Interestingly, the voiced affricate /ʤ/ may also emerge around this time, i.e. about 4;00 years. Recall that the voiced post-alveolar fricative /ʒ/ may not be consolidated until the child is 8;00 years of age. This gives rise to a somewhat paradoxical situation. It appears that the developing child uses the voiced affricate, which arguably incorporates the voiced post-alveolar fricative /ʒ/, before he or she uses the voiced post-alveolar fricative /ʒ/ in its own right. Both /ʧ/ and /ʤ/ may not be fully mastered until 6;06 years of age.